List of New Hampshire schools offering degree programs in nursing, RN-to-BSN, RN-to-MSN, LPN, CNA, and more. 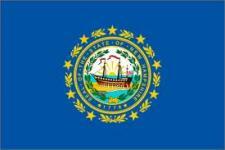 New Hampshire was the first state to sign the Declaration of Independence. The state continues to break new ground with fish and game protection. Covered bridges and walking tours draw people from all over. The cities in New Hampshire, such as Concord and Manchester, offer the convenience of cities three times their size in a more personal atmosphere. Registered nurses in Concord, the state's capital, earn an average of $55,000 a year. Check out the links below to find more information on New Hampshire nursing schools.